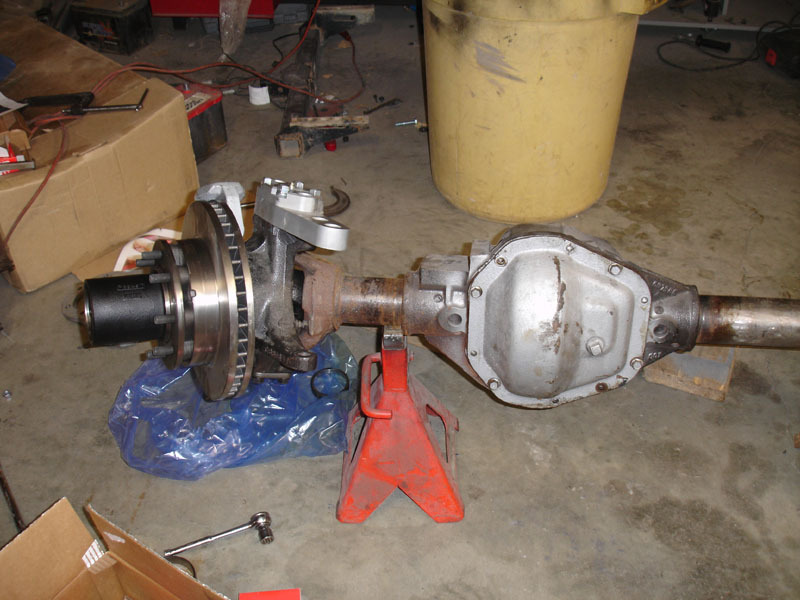 I picked up a GM Full Float 14 bolt rear axle on the cheap. I mean really cheap. I started right off with stripping all the old brackets and 30 years of dirt and grime. I also shaved the lower lip off the diff. I gained 1" of clearance with a cut off wheel and flap disc. 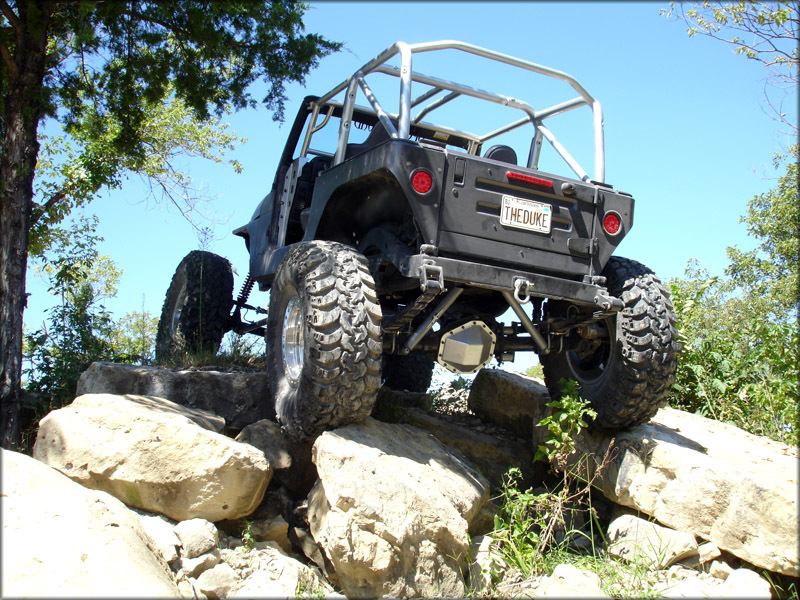 That's like going from 35s to 37s at the diff. I purchased the leaf mount brackets, U bolt top plates, and massive 5/8" U Bolts plus a disc brake bracket kit from my favorite company BLUE TORCH FABWORKS and I was on my way. All of the BTF products are top notch and extremely beefy. They should provide many years of worry free wheelin. 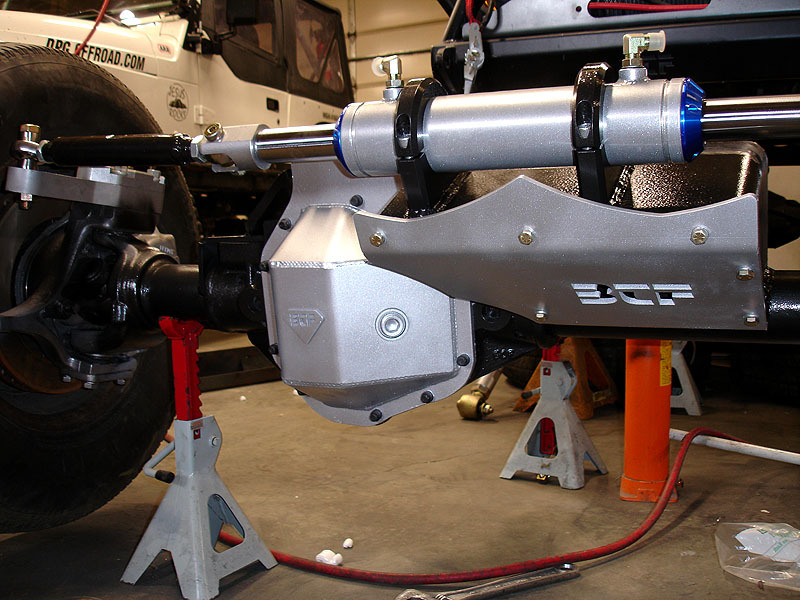 This is the BTF Disc brake bracket kit installed with 3/4 ton chevy Calipers and rotors. The rotors are massive at a full 12" in diameter. I'm going to need all the stopping power I can get for 42s. The rim is 16.5 inches and leaves plenty of clearance. 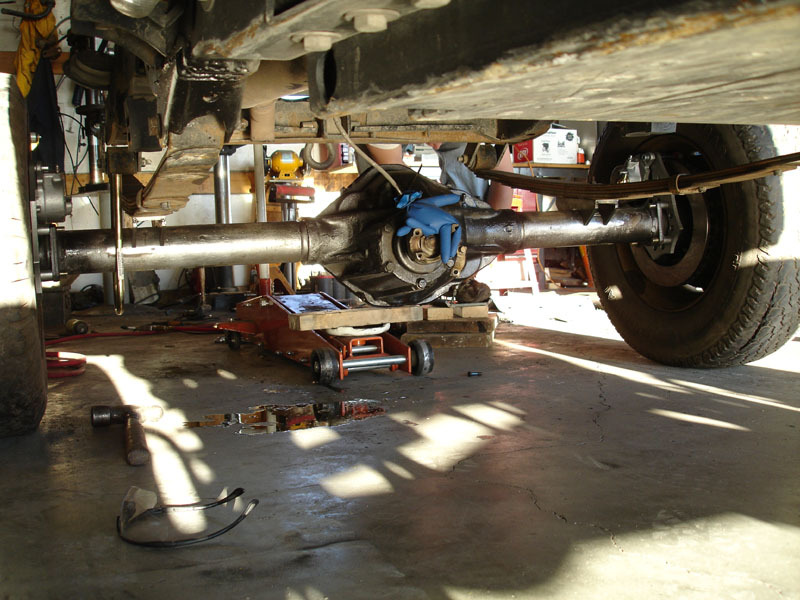 This is my front axle. I picked up a complete housing plus knuckles for cheap. 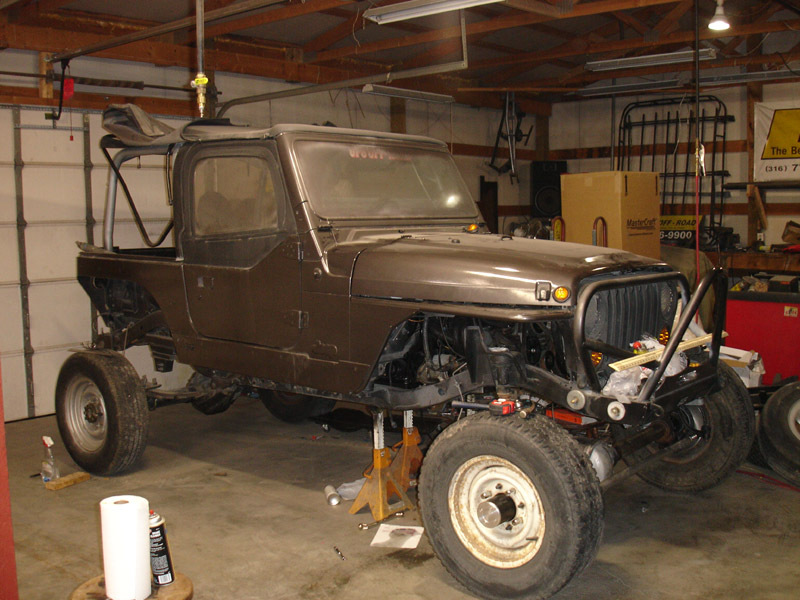 This is out of a Chevy K30 1 ton 4x4. So far I've ripped the knuckles off to replace the king pins and started cutting brackets to get ready to bolt under my front end. I bought a bare housing so I was forced to rebuild everything. I'm going to run a full case Detroit with 5.13s, 35 spline inners and outers, Highonda 35 spline drive flanges, and full hydraulic steering. 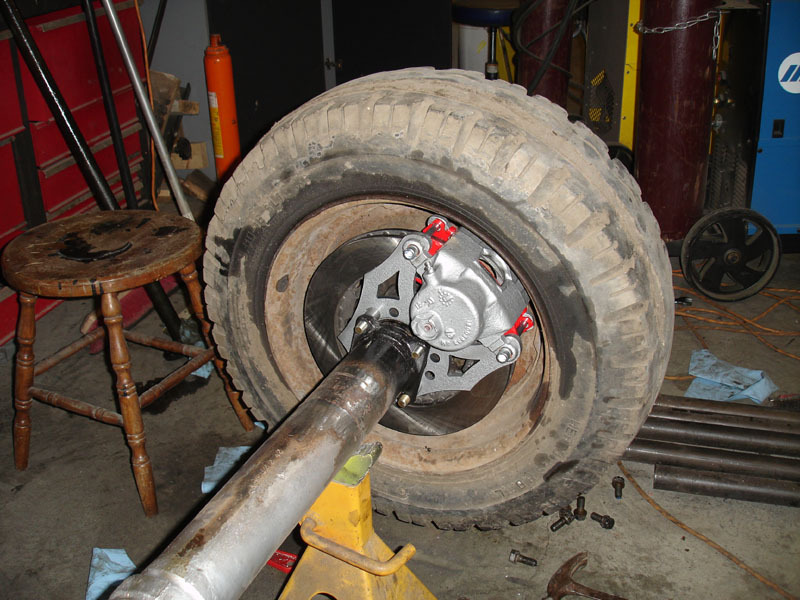 You can see my axle is complete and ready for my BTF truss and driff cover. Check out my massive hi steer arms and brakes. I used Carbon Metallic brake pads. 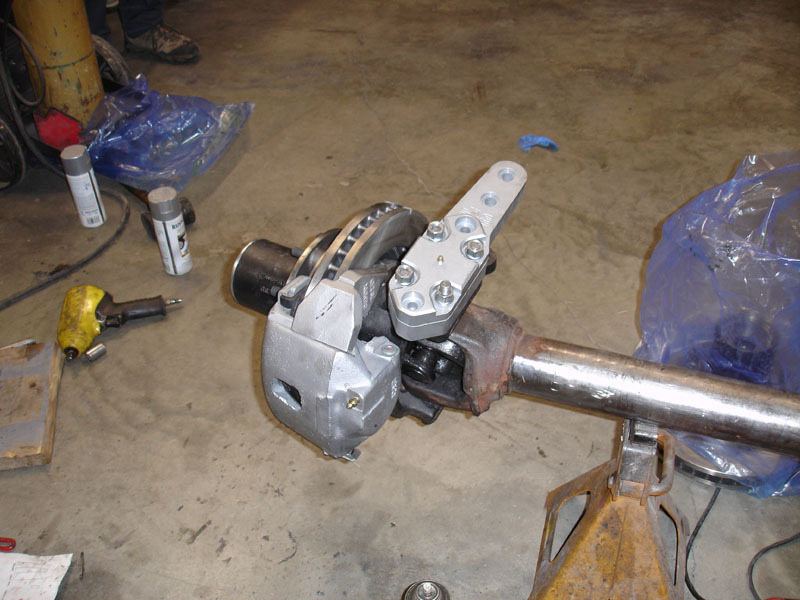 I used a High Angle Driveline 1410 U-Bolt style yoke when installing the gears. 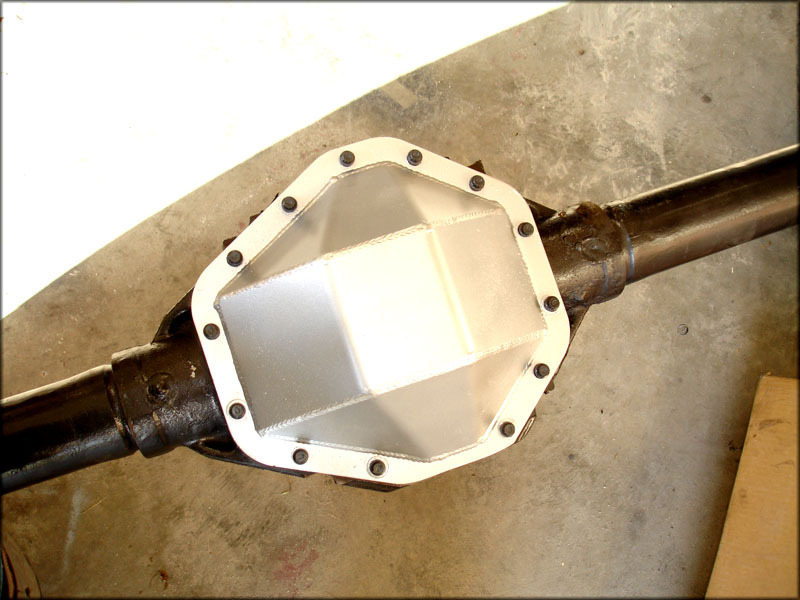 This is close to the final resting place of my axle. This is stretched out to 115" of wheelbase. I also picked up my favorite jeep part I think I've ever purchased. 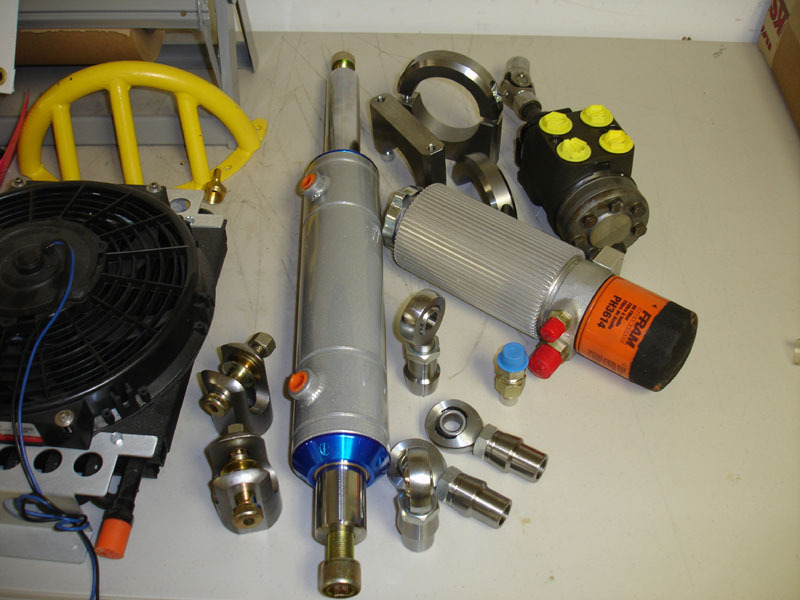 for the best steering products you can buy. $5000.00 gets you one of these!! Got my 13 bolt back from the gear guy. You can see the clearance gained here. And working under my junk!